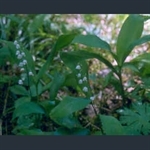 Lily of the valley hardly needs an introduction. 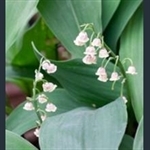 Why should a plant with broad, green leaves and stems with a dozen or so rather small, white bell flowers, spreading quite readily, be so popular? But bring a few stems into a room, and the answer is soon obvious - it has a glorious scent.